Are you ready for some football? Tom Brady is! With the NFL’s first regular season game on Thursday, sports fan across the nation anticipate returning to their fantasy football leagues, their favorite team’s bar, or even just their living room couches every Sunday to watch professional football. The NFL will dominate the American sports and entertainment industry for the next seven months, especially the TV ratings, and will continue to rake in a massive financial profit. As the NFL and its fans prepare for the new season, they continue to deal with incidents from last season and question if the commissioner of the NFL, Roger Goodell, will be able to retain his position much longer. The NFL has been involved with a plethora of negative PR instances in recent years and the organization does not always handle these situations appropriately, which only leads to backlash from the various publics and football community. Commissioner Roger Goodell’s decision to suspend New England Patriot’s quarterback, Tom Brady, for four games at the start of this season was overturned last Thursday by Judge Richard Berman. Tom Brady’s suspension was over the highly publicized “Deflategate” scandal, concerning his potential involvement in the incident that occurred before the Patriots win over the Seahawks earlier this year in Super Bowl XLIX. After the federal judge’s decision to overturn the suspension, the NFL is once again in a terrible position as the season is about to get under way and as reporter Bob Kravitz put it, “leaves the NFL with ‘egg on their face’”. It is clear that Commissioner Goodell picked the wrong fight with NFL poster-boy, four-time Super Bowl champion Tom Brady and there are few actions the current commissioner can take to rebuild his image. He has already lost the trust of players, has a dreadful win-loss record in court, has displayed awful values of the NFL, and lost his credibility. For example, Ray Rice was initially only suspended two games for punching a woman, a charge much more serious than a couple footballs being slightly deflated. However, the NFL ultimately suspended him indefinitely, which was eventually overturned in court through an appeal by Rice. In addition to Ray Rice, Adrian Peterson, Greg Hardy, CJ Spillman, Ray McDonald, and even Jameis Winston are no longer just incidents dealing with violence or domestic abuse. These negative occurrences are all actively shaping the NFL community and the image that the NFL portrays. It tends to show that the NFL does not maintain outstanding values and they prioritize morals a bit differently from the American public. All of the players previously mentioned are all still eligible to play in the NFL at this current moment, yet Tom Brady was nearly suspended for four games for his knowledge of footballs being deflated, making one question the values of the NFL even more intently. Following the Ray Rice incident last year, polls showed that the American public was already calling for his resignation. 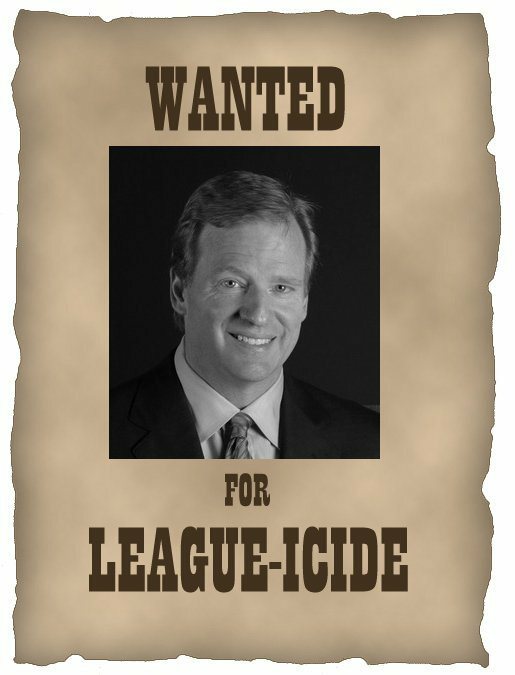 If Goodell is to maintain his role as commissioner and face of the organization for the foreseeable future, he needs to try to recreate his image since it is viewed so negatively. He needs to speak openly about the instance, consider relinquishing his disciplinary rule, hold a press conference, or use the NFL’s PR department to the best of their ability. As the rest of American society prepares for what is the highly coveted and entertaining NFL season, the NFL organization will attempt to wipe some of the ‘egg off their face’ that the Deflategate deliberation left on. Moving On, But Never Forgetting. The latest on Deflategate, Spygate, and the NFL. As a Patriots fan, I have received my fair share of taunting the last several months over Deflategate, which was to be expected. Competitive banter aside, it definitely is interesting to observe the varying weight that the NFL gives to different offenses. One would certainly think that a player who assaulted his wife would receive far more severe a punishment than a player who was [allegedly] involved in a cheating scheme–although there is no question that we had that game in the bag regardless. But I digress. The only thing I can think is that punishments are decided based on how the offense committed would directly affect the game and the league. Cheating has the potential to change the entire outcome of the season, while actions such as Ray Rice’s would have more of an indirect effect on the NFL as a whole. If Goodell wishes to be back in the good graces of the public, he will have to see that future punitive decisions give more concern to moral value.